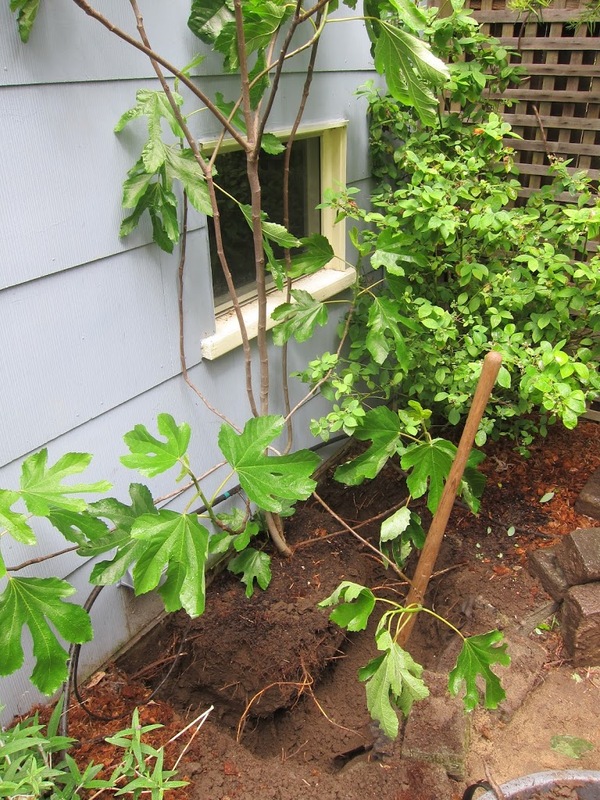 My client had planted this Fig tree too close to her foundation. It’s not a problem right now, but it will be some day. So it is best to take care of these things now while the tree can still be salvaged. 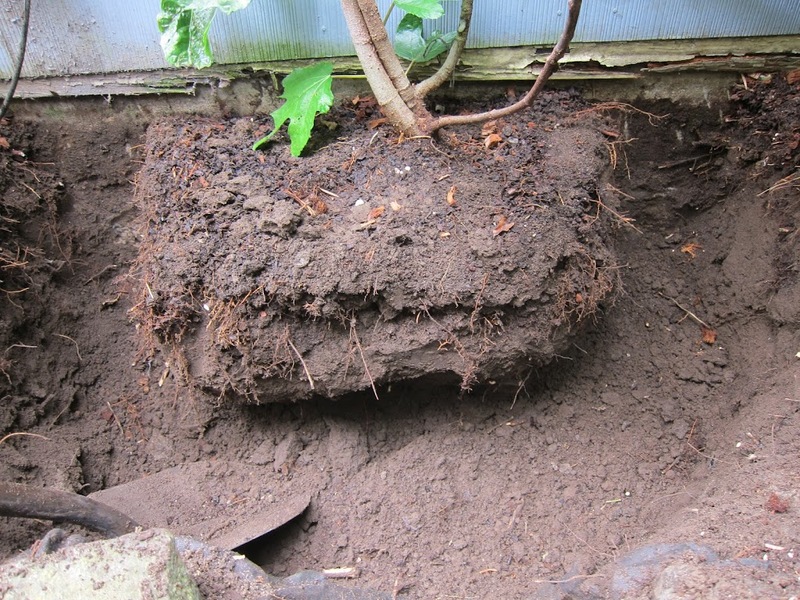 I dug a semi-circular trench about 18 inches from the trunk of the tree, about 18 inches deep. The trench was about a food wide. Had it not been butted up against the foundation I would have dug the trench all the way around. 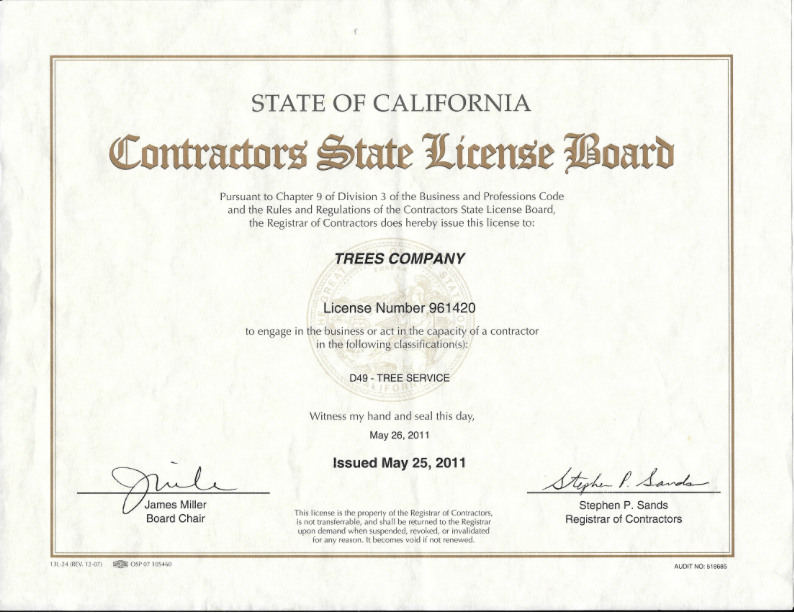 Most tree roots are located in the upper 10-20 inches of the soil, depending on the age, size, species, and environment. Very young trees have tap roots that go straight down, but they usually disappear within a few years. This tree had been in the ground for a few years and I did not come across a tap root. After digging the trench 18 inches down I began to remove the dirt under the tree. 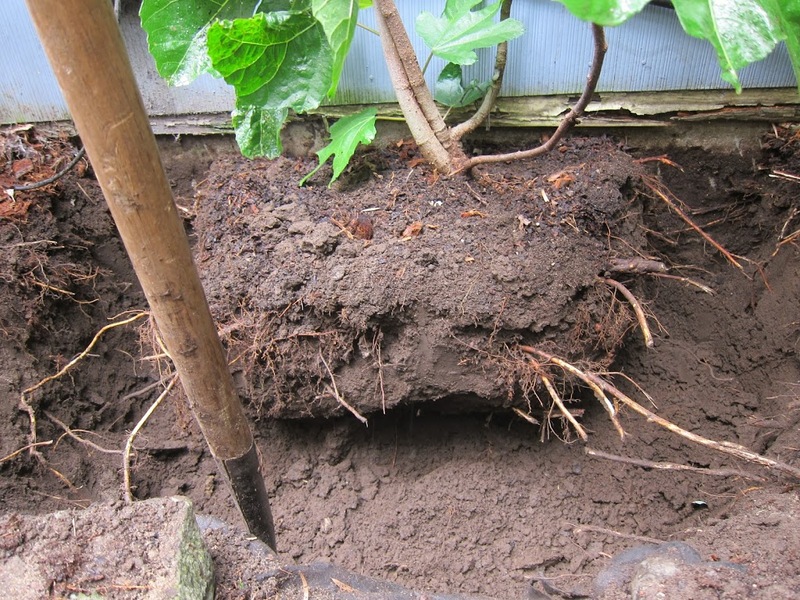 I also used my pruners to cut all the straggling roots that I had previously cut with the shovel. Eventually I was able to lift the root ball, with the help of my assistant. We slid the tree over about one foot. Fine micro hairs on the roots are responsible for absorbing water for the tree (osmosis). When these roots are disturbed they are destroyed. But they eventually grow back. 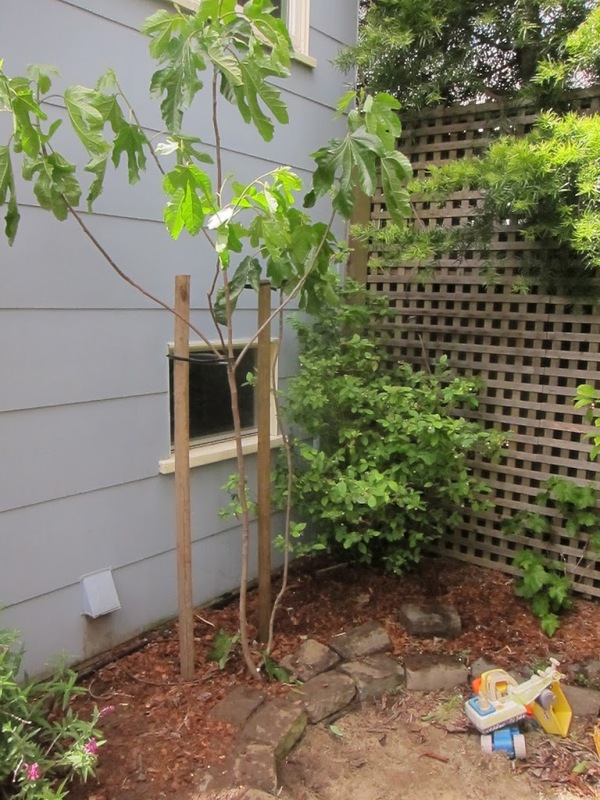 In the meantime, it important to water a tree more frequently right after it has been planted, or transplanted. Sometimes you can remove some leaves to reduce the amount of water loss. Water enters trees through the roots, but loses water through the leaves (transpiration).